Weights are heavy and shipping heavy things isn't easy. 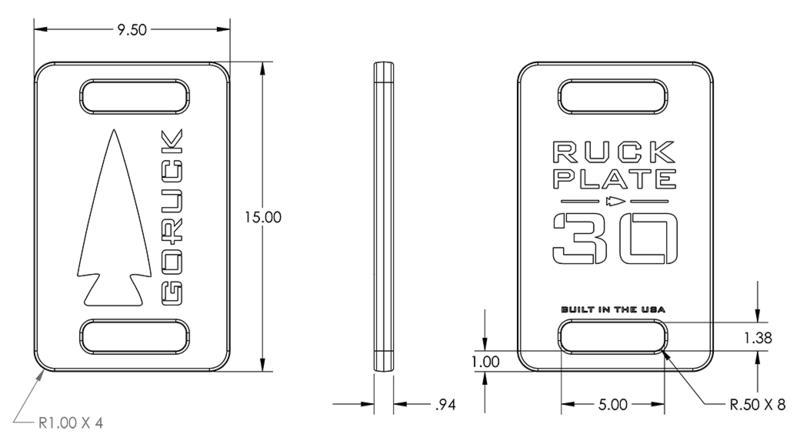 Each Ruck Plate purchased will ship in its own box and can only be shipped to the lower 48 states. 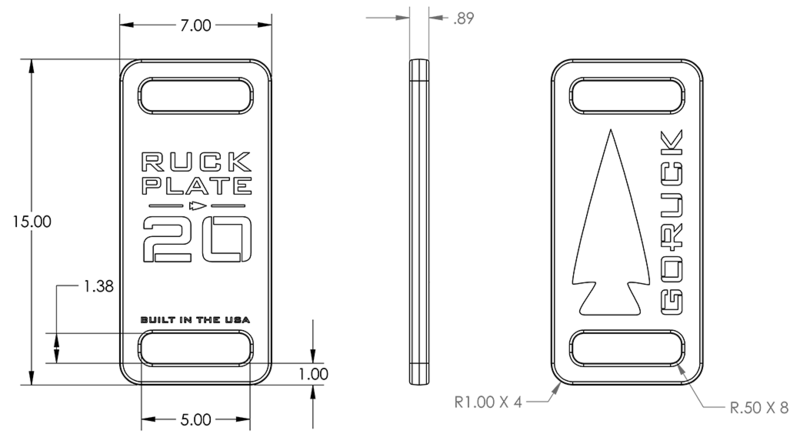 Ruck Plates ship FREE and orders containing Ruck Plates cannot be expedited. Ruck Plates for the GR1. Some Ruck Plates may technically fit in other rucksacks, but that does not mean they will be secure to our standards. See our Recommended Ruck Compatibility Chart for more information. 7" x 15" x 0.89"
9.5" x 15" x 0.94"